﻿ News Bharati - Karnataka demands Bharat Ratna for "Walking God" News Bharati - Karnataka demands Bharat Ratna for "Walking God"
Karnataka demands Bharat Ratna for "Walking God"
Bengaluru, Jan 23: The demand of Bharat Ratna for the late Lingayat seer Shivakumara Swamy has once again resurfaced in Karnataka. 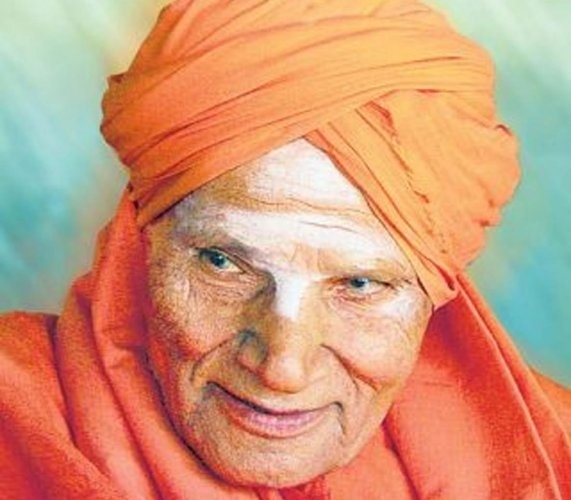 A day after the passing away of veteran Lingayat seer Shivakumara Swamy, the state government has urged center to confer Bharat Ratna for the "Walking God" of Karnataka. Earlier, Home Minister and senior Congress leader to Twitter and appealed Chief Minister H D Kumaraswamy to take necessary steps for the fulfillment of the long pending demand. In 2105, for his humanitarian work, Shivakumara Swamy was accorded with Padma Bhushan award. In 2007 the state government honored the revered Lingayat seer with Karnataka Ratna award, a state-level highest civilian award. On Monday, due to prolonged illness, the Siddaganga Math passed away in Tumukur. Prime Minister Narendra Modi, BJP Chief Amit Shah, Congress President Rahul Gandhi, Karnataka Chief Minister HD Kumaraswamy, former Chief Ministers BS Yeddyurappa, Siddaramaiah and several leaders from different walks of life paid rich tributes to the divine soul. On Tuesday, the last rites of Sri Shivakumar Swamiji were held with full state honor where thousands of devotees paid their final respects to the veteran religious leader. On the other hand, Defence Minister Nirmala Sitharaman who was in Tumakuru to attend the last rites of the Siddaganga Mutt head assured that the sentiments of lakhs of devotees would be conveyed to Prime Minister Narendra Modi. Nirmala Sitharaman represents Karnataka in the upper house.